Marking 100 years since the end of World War 1, this new exhibition, in the Caer Urfa pod, looks at how the war affected the lives of those who worked at South Shields Public Library at the time. The exhibition focuses on Reginald Maurice Daniel, who was born in 1885 and started working as a Library Assistant in South Shields in 1899. He had joined the Northumberland Hussars, a British Territorial Army Squadron, prior to the war and was mobilised almost immediately once war was declared. Whilst away at war, R.M. Daniel kept in touch with his friends and family at home by writing letters; his friends and family sent these letters to The Shields Gazette to be published for the people of South Shields to read. R.M. Daniel’s words from his letters are used throughout the exhibition to describe his experiences which reflect those of the millions of other men he fought alongside. The letters are available to listen to or read in the exhibition. 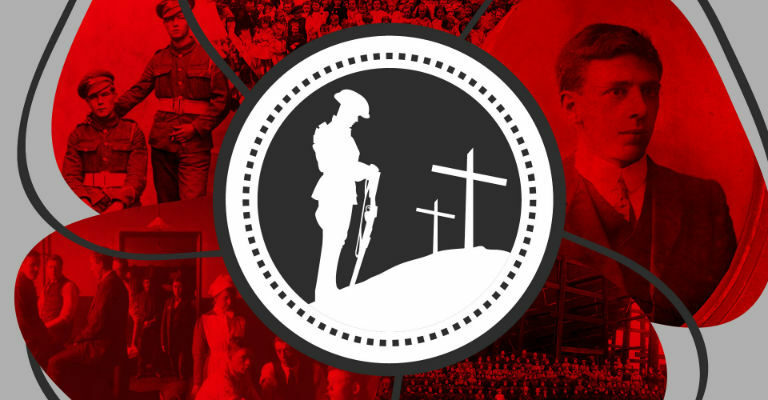 You can also search for your own relatives who fought in WW1 and find out information about their experience on the South Tyneside Remembers website.